To ensure a consistent test speed, providing greater accuracy of results and improved test reproducibility, in comparison to manual test stands. 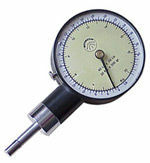 Mecmesin mechanical force gauges provide affordable, convenient solutions for simple force measurement applications. 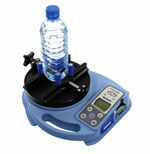 Mecmesin offers 2 types of motorised torque testing system to suit your test application needs and budget. Our complete range of torque testing instruments offer a convenient and economical solution to a vast array of torsion test applications. These manually-operated torque testers provide digital precision when measuring clockwise and counter-clockwise torques of rotary components, devices and packaging. This company supplies Products & Services in the Building & Civil, Electronic, Instrumentation & Control, Manufacturing, Materials Handling, Mechanical, Mining, Warehousing & Storage industries.